FAA Restricts Drones Over Major U.S. Landmarks : The Two-Way The agency is banning unauthorized unmanned aircraft from the air over sites such as the Statue of Liberty and Hoover Dam, citing national security. 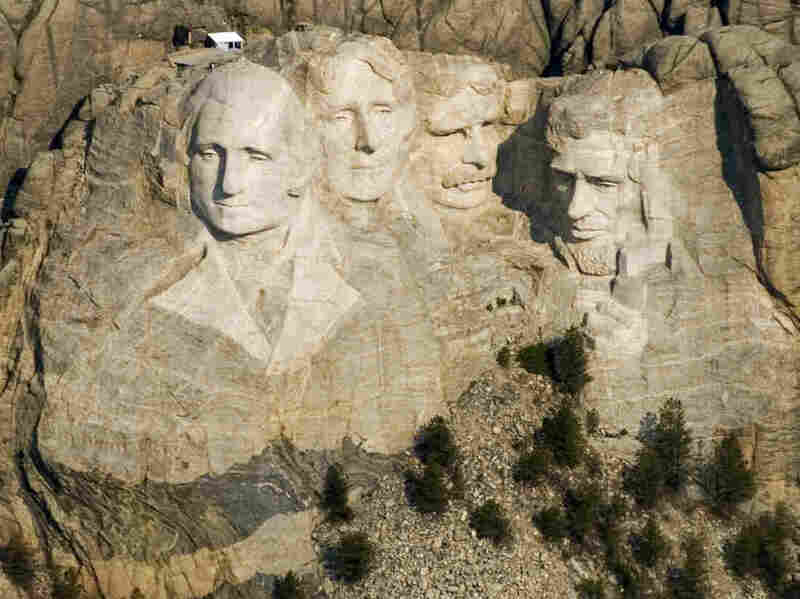 The Mount Rushmore National Memorial in the Black Hills of South Dakota is soon to be off-limits to drone flights. The Federal Aviation Administration has issued a new regulation restricting unauthorized drone operations over 10 Department of Interior sites, including the Statue of Liberty and Mount Rushmore. Glen Canyon Dam, Lake Powell, Ariz.
Grand Coulee Dam, Grand Coulee, Wash.
Hoover Dam, Boulder City, Nev.
Mount Rushmore National Memorial, Keystone, S.D. Shasta Dam, Shasta Lake, Calif. The announcement says the action comes at "the request of U.S. national security and law enforcement agencies." It says it marks the first time the FAA has restricted drone flights over Interior Department landmarks, although many of the sites were covered by a National Park Service ban on drones issued in 2014. But that ban pertained to "launching, landing or operating unmanned aircraft" in national parks. The FAA's announcement includes the airspace above parks and landmarks. The latest restrictions take effect on Oct. 5. Violators "may be subject tp enforcement action, including potential civil penalties and criminal charges," according to the announcement. A previous version of this story incorrectly said the new regulations go into effect in 2107, not 2017.